Christmas. Decorations. I’m pretty sure I wait 9 months every year for it to be socially acceptable to put up my decorations again. I love scrolling through Pinterest before Christmas and seeing all the wonderful things people do with their homes for the Holidays. For one of my first Christmases in my own home, I was so excited and had this vision of what I wanted. Then I went to the local stores. and was so disappointed that nothing seemed to match what I wanted. Nothing that I could afford, anyway. So I started DIY-ing my Christmas decor. It changed my life. If you haven’t tried it yet you’ve gotta. 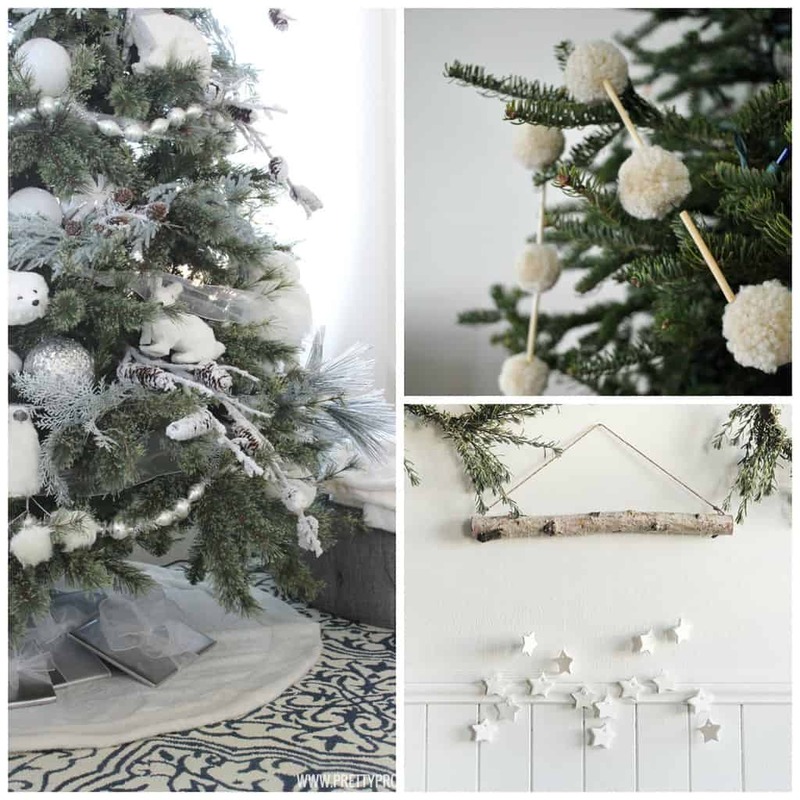 Have a look through some of our favorite ideas and see if you can find some that match your vision of the perfect Christmas Decor. We all know the tree is the center of our Christmas Decor. It. Just. Is. Making sure it’s dressed to the 9’s can be a daunting task. So if you’re looking for something that’s going to be a little more budget friendly, or if you can’t find something in the store that matches what’s in your dreams, get inspired by one of these options! My newest ornament creation is these Chipboard Christmas Ornaments! They are so fun and I love that I can make BIG shapes. These Popsicle Stick Sleds from Clean and Scentsible are so cute! It would be such a fun and low cost craft that would actually look good on a Christmas tree. One of the best things about DIY projects, is they are TOTALLY customizable. With these DIY Painted Gold Leaf Ornaments from the Sweet Occasion, you can pick the perfect color to match your decor scheme, there are no limits. Ok, I would never be able to come up with this on my own. 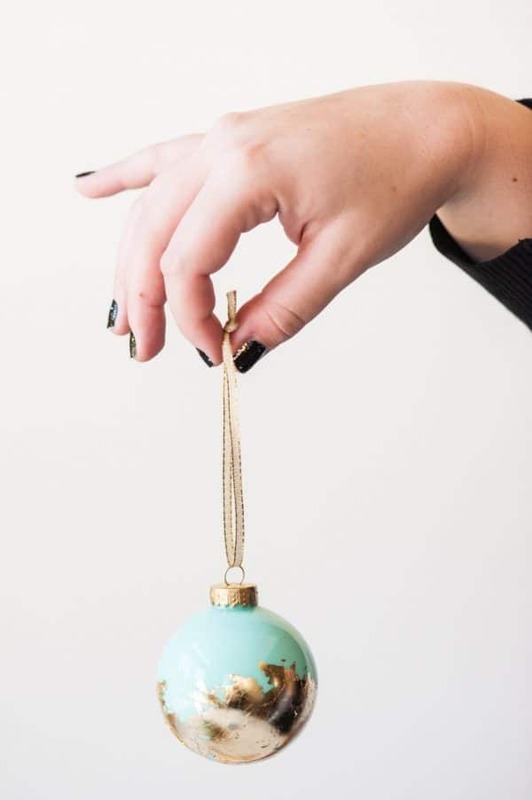 Tattly has put Temporary Tattoos on Glass Ornaments! And they look uh-mazing. Is your aesthetic a little bit more natural at Christmas time? These DIY Bright Berry Ornaments from Jojotastic are so beautiful and will only add to the natural beauty of your tree. Sometimes a DIY can help you add that special touch that you just can’t buy at the store, these DIY Gold Scalloped Ornaments are a favorite of ours and would look classy on any tree. 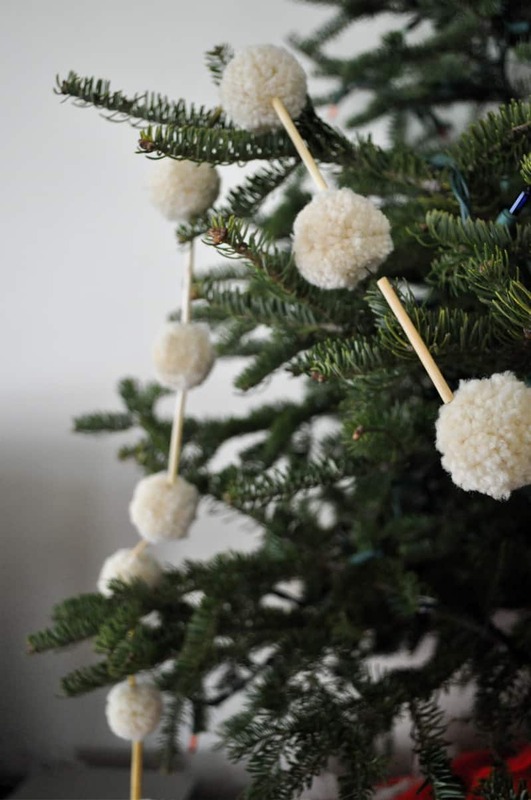 You’ve got to check out these Pom Pom Filled Ornaments. They can add so much dimension and color to a tree. Can you doodle? cause that is all the skill required for these Doodled Ornaments, and they double as gift toppers. If you’re going for a cozy, rustic Christmas, you need to have a look at these Plaid Ball Ornaments. Plus since these are made of foam they’re kid and pet friendly. You never get a second chance at a first impression right? Your wreath sends a message to everyone who visits your house about who you are!! That’s a lot of pressure, but to be honest, these ideas below hold up. If you’re one of those people that has a hard time taking down your Christmas decorations before Valentines day (guilty) maybe try this Modern Winter Wreath that will last and still look classy for a few months after the Holidays. As long as they can’t see the tree from the front window, none of your neighbors need to know. The classics are classics for a reason right? This DIY Candy Cane Wreath looks like something out of a story book, and is incredibly easy to make. While a classic wreath can be exquisite on your porch, sometimes its fun to break away from your classic fluffy looking circle. This DIY Wine Barrel Ring Christmas Wreath from the Painted Hinge is so different, so beautiful without being over the top. You’ve seen those macrame hangings everyone seems to have on their walls nowadays right? Imagine, a Macrame WREATH!!! You need to see this project Glade has put together. 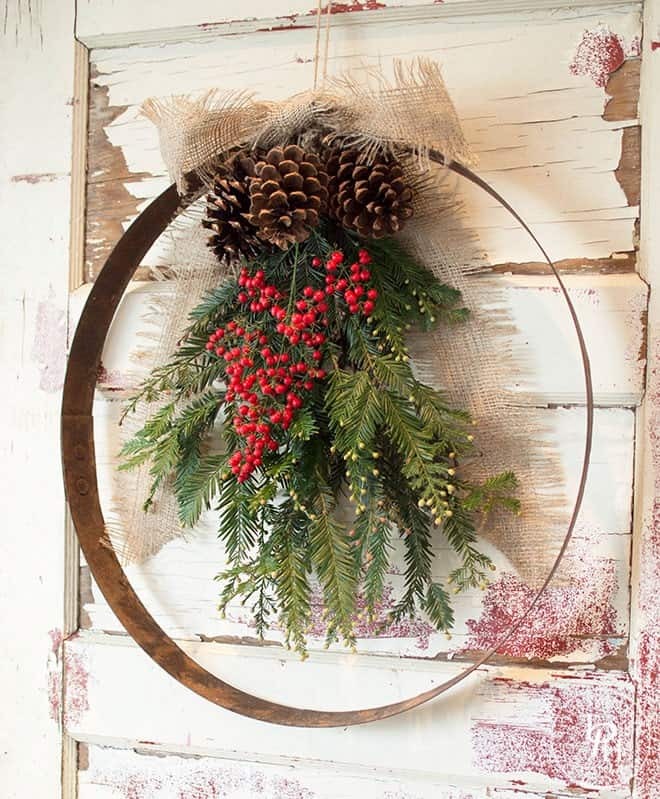 I absolutely love these Asymmetrical Holiday Wreaths from Paper and Stitch are so classy, pushing so many boundaries. Not only are they different from your typical wreath, they even have a square and a triangle example and they look awesome. 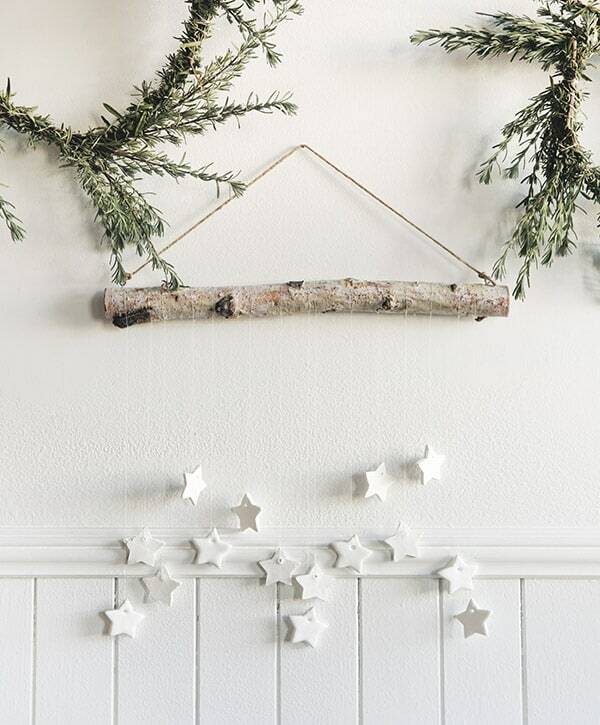 A garland can be such a fun way to put some Christmas spirit where nothing else will do. 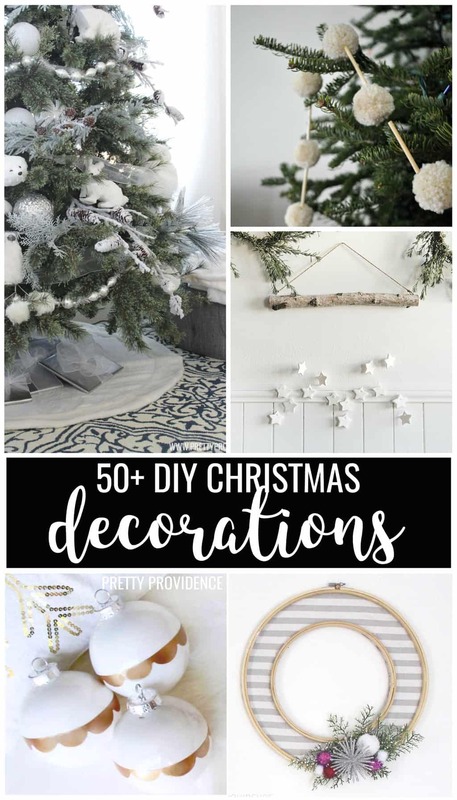 Whether it’s on your tree, over your fireplace, or over a window, it can be eye catching and a unique way to add some pizazz to any room. Am I the only one who hoards ribbons from the gifts I get? They’re just so pretty and I can’t throw them away!! Our DIY Christmas Garland is a great way to use up any spare ribbon you have lying around, and still looks gorge. The Pom Pom is so making a come back right now. This Straw and Pom Pom Garland from Elsie Marley looks like it came straight out of Anthropologie. Gold will always be one of the best Christmas colors. This DIY Gold Circle Garland from The Crafting Chicks is so cute and an easy way to add sparkle to your living room. I love the idea of a leaf garland as opposed to a pine garland, but the ones you can buy are like $10 a foot, and at that rate, I can only afford to decorate my microwave. This DIY Paper Leaf Garland looks so easy and budget friendly, and doesn’t look like a 2nd grade art project. Ok last pom pom one I promise, this Pinecone and Pom Pom garland from Treasures and Travels looks so easy breezy beautiful covergirl. Sometimes I feel like I can put up the tree, and put the new pillows on the couch, but until there is something on the walls, I’m not done. Wall decor can be so hard, because walls are so big and to make something that doesn’t look tiny can be expensive. Not so with this DIY Reindeer Wall Hanging because it’s basically a piece of fabric and still looks amazingly classy. Nativities can be so expensive, and I feel like most DIY nativities don’t do the scene justice. I love this Easy DIY Nativity Board because it still gives so much reverence to the scene and just looks beautiful. Please promise me you’ll look at this DIY Tiny Star Wall Hanging. It’s so cute and minimalist and looks incredibly easy. I love this idea of spelling out festive words in embroidery hoops! This Easy DIY Wall Art from the Art of Doing Stuff is so versatile and would be so fun to put together. This Burlap Christmas Art from Crafts Unleashed looks like it would be so easy to make classy. It would look gorgeous on any wall near your tree. We just have so many ideas of fun DIYs that they don’t all fit into nice little categories, don’t skip these miscellaneous decor items. I love this Envelope Activity Advent Calendar we made last year! It’s so easy to put together and you can slip a different bucket list activity into each day! Colorful and modern, too! A great way to update old or ugly decor is just by spray painting it silver or gold! This Tutorial For Spray Painting Christmas Decorations is so easy to follow and you won’t believe the transformation. 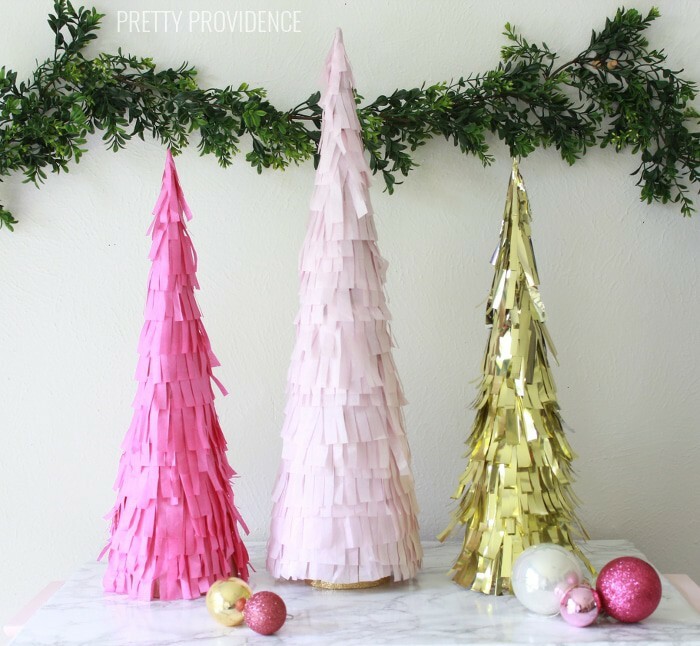 These DIY Fringe Christmas Trees are so crazy cute! Again, 100% crazy customizable too. The only limit is your imagination honey. This DIY Mini Stocking Advent Calendar doubles as a gorgeous garland, and a fun way to count down to the big day. Am I the only one who’s ready to grab my glue gun and get started?! I feel so inspired and can’t wait for it to be socially acceptable to start decorating. What’s the consensus? Do I have to wait till after Thanksgiving? Do you have an DIY’s that have transformed your Christmas setup?